Ez-Launch is a software configuration and launch utility that allows a user with limited computer knowledge to powerfully master the complicated diagnostic software environment. Using XscapeEz Ez-TAP technology, multiple vehicles can be accessed from one PC. 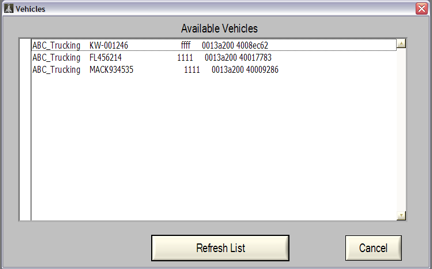 Each diagnostic PC will typically have anywhere from 3-10 diagnostic applications from various OEMs installed. With Ez-Launch, the technician does not have to understand how to setup the tools and software to use them. Once the system is setup for the first time, it will remember those settings and automatically works every time. Step 1: Ez-Launch presents its main window showing an icon for each diagnostic application used on the computer. Step 3: Ez-Launch configures the system and launches the application without any additional input from the user. At this point, the technician is connected to the right vehicle with the right application and is ready to go in just seconds. Download Documentation - PDF format unless otherwise specified. Click title to download.